When coupling a Velaro D with an ICE3, the UIC-2D-Converter 237540 converts telephony and announcements of the Velaro D UIC-bus to the ICE3 two-wire-bus (2D). The UIC-2D-Converter 237540 converts low frequency signals and signal voltages and enables continuous communication without interruption. The converter’s interfaces are galvanically isolated. 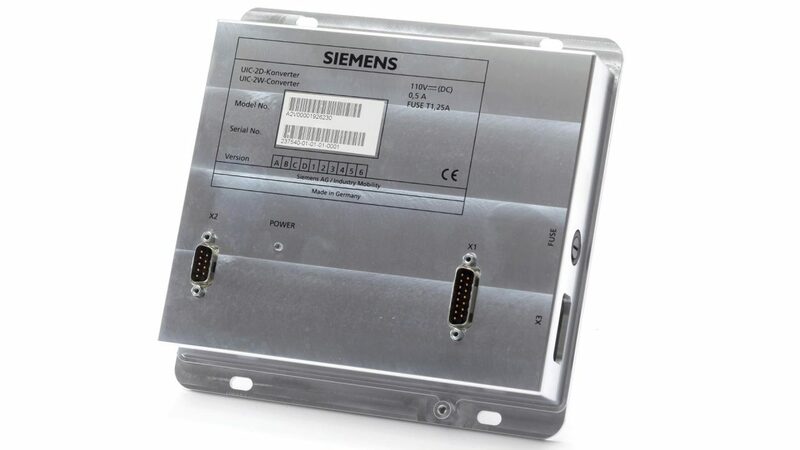 IZT built the UIC-2D-Converter for Siemens.